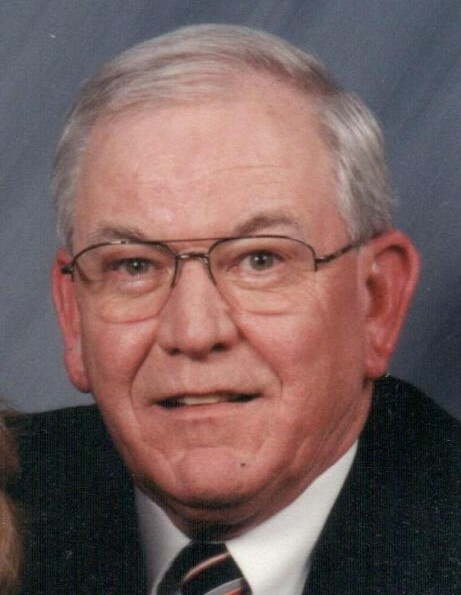 Obituary for John Thomas Beggs | Hile-Best Funeral Home, Inc.
John Thomas Beggs, 71, of Seneca, died peacefully at his home while surrounded by his loving family on Saturday morning, May 26, 2018, following a period of declining health. He was born in East Brady, Armstrong County on September 2, 1946 to the late John E. and Donna L. (Seybert) Beggs. John attended Union High School in Rimersburg and graduated from Keystone High School in 1964. He then served in the U.S. Army from 1966 through 1968 as a military policeman stationed in Germany during the Vietnam War. He was a member of St. Stephen Roman Catholic Church in Oil City. Mr. Beggs was an active member of the Cranberry Area Lions Club since 2002, serving as president, secretary, and treasurer. He was a member of the National Wild Turkey Federation and served as president of its Allegheny Sultan division. John was also a member of the Rocky Mountain Elk Foundation, the Franklin Elks Club, the Pennsylvania State Troopers Association and the Fraternal Order of Police in Erie. John enjoyed woodworking, hunting deer and turkey with his son and grandchildren, spending time outdoors, doing yardwork and helping his neighbors, bowling, golfing in several leagues at Sleepy Hollow, and spending time with his grandchildren, family and friends. He also enjoyed taking evening walks with his wife, Penn State football, taking numerous elk hunting trips to Idaho and Colorado, and visiting his daughter and son-in-law in Oregon where he loved to go to Mount St. Helens. In 1969 John graduated from the Pennsylvania State Police Academy in Hershey and began his career in law enforcement. He began with Troop E in Erie, and later worked at Tionesta earning the rank of Corporal. He served as Sergeant in Philadelphia for a short time before returning to Meadville briefly and then the Franklin barracks crime unit until his retirement in 2001. Following his retirement, John worked part-time for Bail USA and Liberty Bail Bonds. He was married in Clarion on April 25, 1970 to the former Brenda L. Whitling, who survives. He was the love of her life and they recently celebrated 48 years of marriage. Also surviving are two children: Bryan T. Beggs and his significant other Jessica Hoover of Seneca, and Liane R. Davis and her husband Chad T. Davis of Portland, Oregon; three grandchildren: Alisha Marie Beggs, Katelyn Elizabeth Beggs, and Justin Thomas Beggs, all of Seneca; a sister, Nancy L. Powell of Marienville; a brother, Robert W. Beggs of South Carolina; and numerous nieces and nephews. He is also survived by his brothers-in-law and sisters-in-law, Sharon and Michael Frederick, June and Doug Rhoades, David and Jane Whitling, and Cindy and Bill Criley; his close friends Jim and Kaycy Bunyak; and many other close friends with whom he hunted, golfed, and shared life. Friends and family will be received Tuesday (May 29th) from 1 - 4 and 6 - 8 p.m. in the Hile-Best Funeral Home, 2781 Rte. 257 in Seneca, Cranberry Township. A funeral service will be held in the funeral home Wednesday (May 30th) at 11 a.m. with Father John Miller, pastor of St. Stephen Church, officiating. Interment will full military and State Police honors will follow in Brandon Cemetery in Cranberry. In lieu of flowers, memorial contributions may be made to UPMC Children's Hospital Foundation, c/o PNC Bank, P.O. Box 535240, Pittsburgh, PA 15253; the National Wild Turkey Federation, P.O. Box 530, Edgefield, SC 29824; or another charity of choice.